He was born April 15, 1922. This fine character actor added a very visual presence to any scene in which he appeared. His distinct rugged features enabled him to portray many ethnic roles. 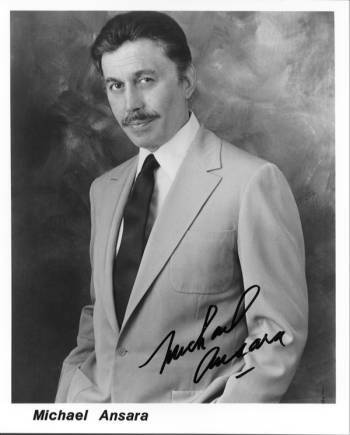 His career began in 1944 in the movie "Action In Arabia" and continued into the 1990s in popular futuristic television series such as "Babylon 5", and "Star Trek: Deep Space Nine". His many movies include "Road To Bali", "The Robe", "The Ten Commandments", "Voyage To The Bottom Of The Sea", and "The Greatest Story Ever Told". His television work included a role as Cochise in "Broken Arrow" which ran on ABC from 1956-60, based on the James Stewart picture of same name. "Law Of The Plainsman" was a spin-off of "The Rifleman" in which he had appeared in two episodes as Sam Buckhart. 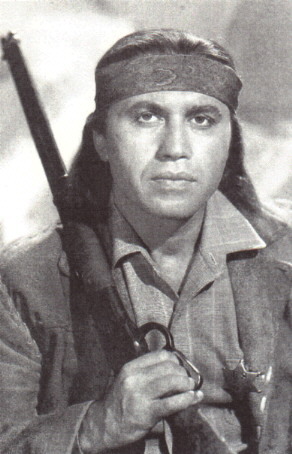 The unique feature of this role was that Buckhart was a Harvard educated Apache Indian and a United States Deputy Marshal. Like Lucas McCain, Sam Buckhart was a single parent, becoming ward to a young orphan girl, Tess Logan, and had the dual responsibility of raising the girl and maintaining law and order in Sante Fe, New Mexico. Unfortunately, the show ran only one year but was an exceptional western during the era. The actor currently lives in Calabasas, CA.